Notre Dame wasn’t expected to upset No. 3 Virginia on Saturday, but the Irish forgot to show up to Purcell Pavilion and fell 82-55 in a miserable offensive performance. The Irish wouldn’t be the first program to have a bad offensive game against the Cavaliers, but it was the lack of effort and energy that caught the attention of many. It’s a bold statement and a true one. Notre Dame had just one player in double figures while Virginia had five players in double figures. The Irish 36% from the field, 28% from the free throw line and a shocking 38% from the free throw line. Freshman Dane Goodwin knows Saturday’s play is unacceptable and it’s on the team to find a way to fight through adversity. Notre Dame has many things to fix, but the first must be starting Monday’s game against No. 2 Duke with shots going in the bucket. The Irish didn’t score until the 13:35 mark in the first half against Virginia and were lucky to only be down 12-2. 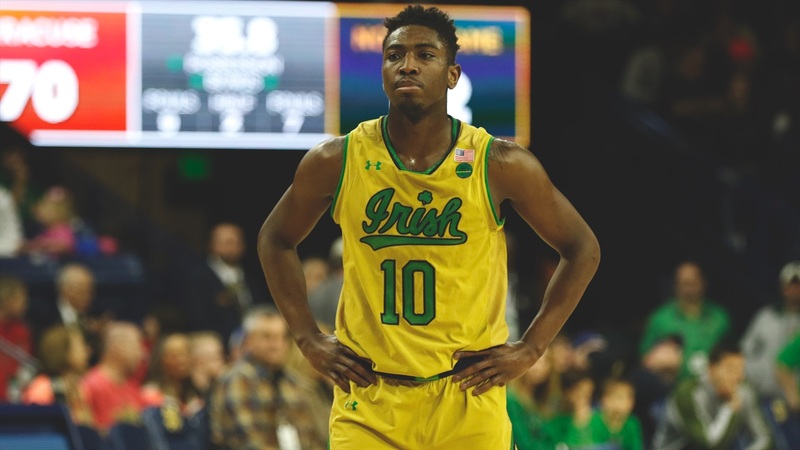 Gibbs has seen it all during his time at Notre Dame, but even he can’t quite put the finger on the offensive struggles that have plagued the Irish in ACC play. The only bright spot in Saturday’s loss was a second-half spurt of four minutes where the Irish cut a 19-point Cavalier leave to 12. Even that was short lived as Virginia extended the lead to 20 points over the next four minutes. Head coach Mike Brey stated Sunday’s 8:00 a.m. practice would be a competitive one and Gibbs is taking that as a challenge to the leadership of the team. “We have to be ourselves,” said Gibbs. “We have to focus on locking in offensively and defensively. We have lapses where we can go in and out. That starts with our leadership. That’s on me and John (Mooney) and the other older guys to not get complacent.